Simon George and Sons is a Queensland based fruit and vegetable providore with a history dating back to 1927. Their focus is on supplying premium produce to an established client base that ranges in size from restaurants to cruise ships. 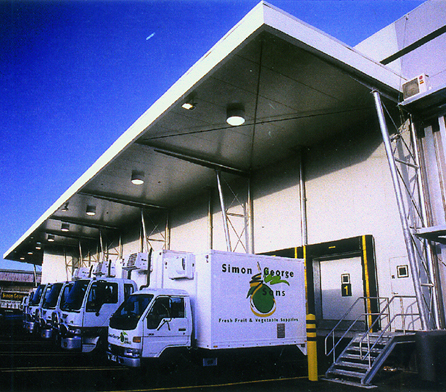 Wiley was contracted to design and construct a new 3,330m2 processing and cold storage facility at the Brisbane Markets in Rocklea. The new facility was to replace an outdated building and enable the company to meet growing demand and expand into different product areas. 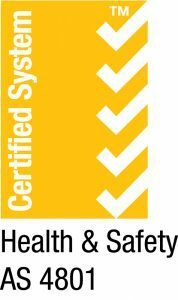 Capacity to expand the facility in future. Stage two (for Simon George & Sons) including fitting out the 630m2 architecturally-designed office area, conference room and amenities, and the 2,70m2 processing area, which includes order picking rooms, bulk cool rooms, an order packing area, a dispatch and load-out area, ante-rooms, a juicing room and a vegetable processing area. Use of sandwich panel for the exterior roof and walls to create a large temperature-controlled cold room environment that offers a more attractive façade than a conventional building and reduces refrigeration costs. Completion of construction for both stages of the project. 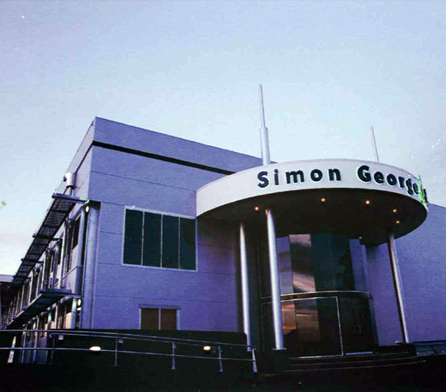 Wiley delivered a new processing and cold storage facility that meets all the needs of Simon George & Sons and allows the company to grow over time.